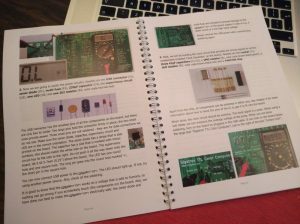 The Gigatron TTL microcomputer is a minimalistic retro computer. It is special in its own oddball way, because it has absolutely no complex logic chips in it, not even a microprocessor! 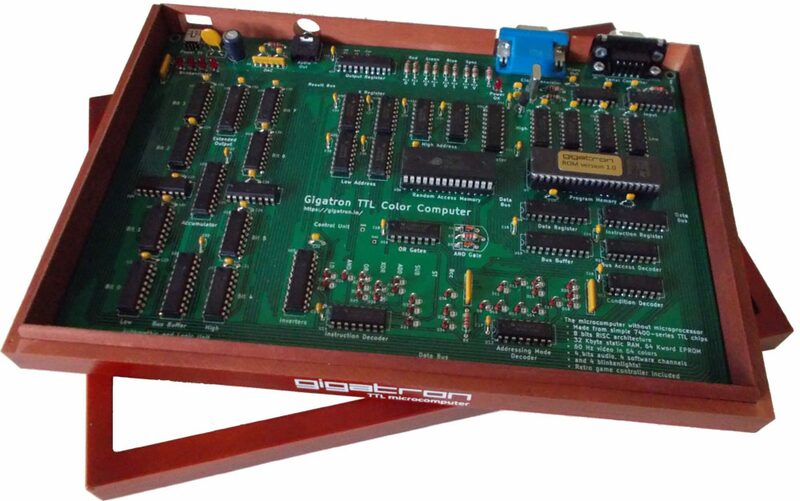 Instead, its CPU is built out of a handful of classic 7400-series ICs, colloquially known as the TTL logic series. In the Gigatron these simple chips not only form a CPU, but this CPU in turn performs all tasks that normally require dedicated peripheral chips. 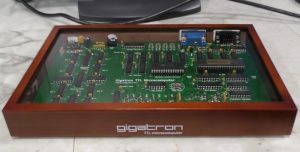 Despite its simple and small design, the Gigatron works as an 8-bit single-board microcomputer that you can play video games with. Now you can build one yourself. 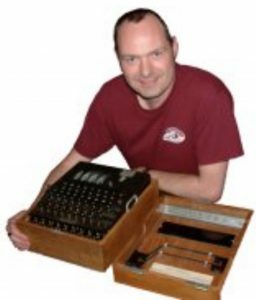 Learn what happens inside a CPU and enjoy playing the built-in retro video games or write little programs in BASIC. You can also hack it in any way you like if you have a taste for that. A couple of hours to complete building the kit. If you are interested in one, check out “Get one!” page for pricing and ordering information. We have given in-depth talks at several hacker spaces. Here is one Walter did at Hackerhotel 2018 explaining both concept choices and design details. For a PDF version of the slides and for more materials, check out the Tutorials section. 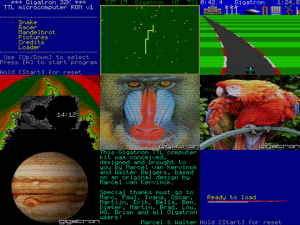 Gigatron is a project by Marcel van Kervinck and Walter Belgers. If you want to get a kit, you can find all pricing and ordering information on the “Get one!” page. For general questions, feel free to drop us an e-mail. 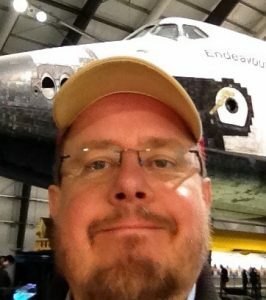 We are also on Twitter, Hackaday and GitHub, all links are listed below. Oscar brought his Gigatron, with our prototype keyboard adapter and Tiny BASIC, to VCF West 2018 at the Computer History Museum in Mountain View. He came back with the “Judge’s Special Choice Award”. How cool is that! Utterly flattered… Thanks Oscar and thanks VCF!